Strut presents a definitive collection of recordings from one of Tanzania’s most revered bands of the early 1970s, Sunburst. Covering their output from 1973 to 1976, this first retrospective features their singles for the Moto Moto and TFC labels, their sole album, ‘Ave Africa’ and an unreleased radio session recorded in Tanzania in 1973. By the time Zairean guitarist Hembi Flory Kongo had formed the band in Dar Es Salaam in 1970 playing “copyright” cover versions, soul and funk had long influenced young musicians in Dar and ‘boogies’, weekly soul events, were commonplace at the city’s clubs. Despite the Tanzanian government banning soul (both music and dancing) through their conservative Ujamaa policy in 1969, Sunburst grew as a band and developed their own musical direction which they later called Kitoto Sound, reflecting the diverse backgrounds of the band members. Lyrical themes included black pride and colonial oppression – the band even played a gig for visiting civil rights heroine Angela Davis. 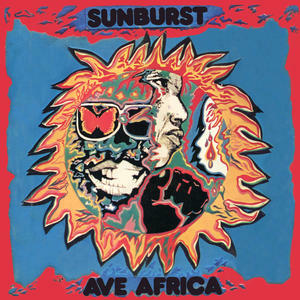 After June 1973, Sunburst gained a national audience through a live session for the state-owned Radio Tanzania, a crucial means for domestic bands to air their work. A month later, they won a band competition in Dar Es Salaam and their popularity in Tanzania grew further. They began recording singles in Kenya, standing apart from the predominantly rumba, jazz or taarab styles sung in local languages at the time. In 1974, Sunburst met Zambian musician Rikki Ililonga from Zamrock group Musi- O-Tunya and he invited them to Zambia. Meeting their later manager, car company employee Peter Bagshawe, they embarked on an ill-fated tour with Kenyan funk band Matata before working on a first full album in 1976 in Lusaka with new band members. The LP came out at the height of the Zamrock scene led by bands like Witch and Ngozi Family but Sunburst offered a more intricate sound as musicians born in six different countries tapped into a multitude of styles, languages and stories. “Our songs support freedom struggles and encourage peasants and workers to work harder,” singer James Mpungo recounted. “Our songs also criticize our people for allowing themselves to be too westernized.” After a handful of further singles for Tanzanian state label TFC, including the popular ‘Banchikicha’, the band split, frustrated by living on “bare minimum earnings” from their music. The result of three years’ painstaking work after tracking down bandleader Hembi Kongo, bassist Bashir and the band’s ex-manager Peter Bagshawe, this overdue retrospective is curated by Thomas Gesthuizen (DJ Gioumanne) of Africanhiphop. com and Dave Tinning of Santuri East Africa. The package features a full band biography alongside rare photos, press cuttings and memorabilia.